"Plump, juicy chunks of white meat in a smooth, creamy base, with free add-ons like pickles and hot peppers. 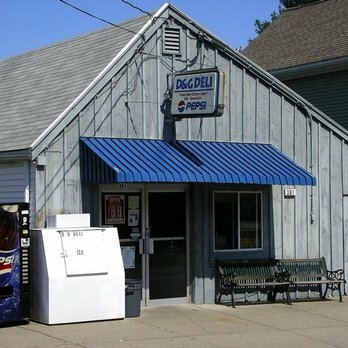 The D&G Deli cooks more than 100 pounds of chicken a day to satisfy the demand. The building is a nondescript shack, but it's easy to find at lunchtime, when the deli is surrounded by cars parked on the sidewalk."